Founded in 1992, Dacheng Law Offices is one of the first and largest partnership law firms in China. In January 2015, Multinational law firm Dentons and Dacheng Law Offices signed of on their merge. The new firm will be the world’s biggest law firm, which will count more than 6,500 lawyers in 50 countries. 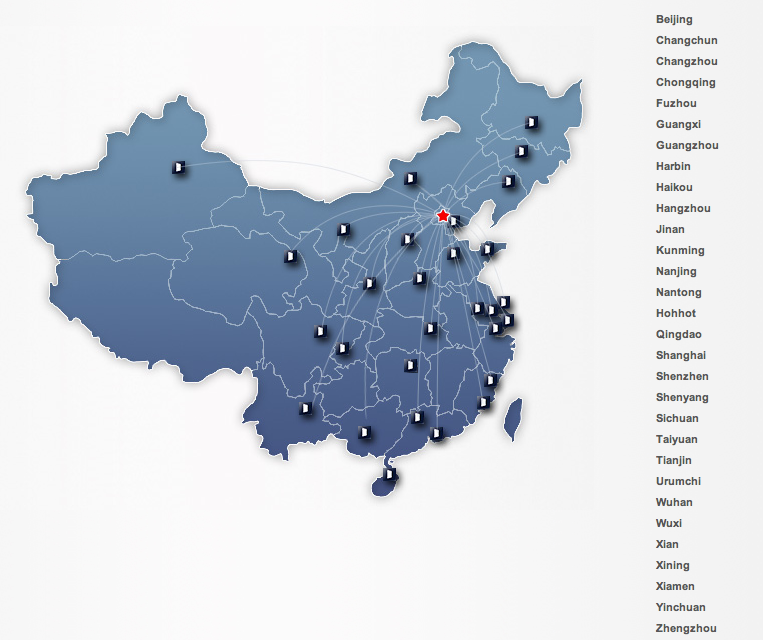 Dacheng Law Offices is home to more than 4,000 licensed attorneys worldwide. Headquartered in Beijing, Dacheng has established an extensive global legal services network consisting of over 51 offices, including a Wall Street Office in New York. Its well-designed online network management platform enables Dacheng to offer seamlessly integrated legal services to its clients on a global basis. Dacheng has established an extensive global legal service network, covering most of the major cities and regions in the world. Apart from its headquarters in Beijing, Dacheng also has overseas offices: New York, Taiwan, Paris, Singapore, Los Angeles, San Fransisco, Chicago, Moscow and Mongolia. There are currently over 4,000 lawyers and staffs working for Dacheng Law Offices, most of whom are graduates from leading law schools within China or overseas. Many Dacheng lawyers have obtained degrees from prestigious universities in the United States, Britain, France, Russia, Japan, Korea, and have acquired valuable experience working for renowned international law firms. In addition, a substantial number of our lawyers have expertise in areas including international trade, finance, construction, business administration, accounting, and taxation. At present, the firm’s practice areas include: Company, Foreign Direct Investment, Capital Markets, Mergers & Acquisitions, State-owned Enterprises, Finance, Mining and Energy, Real Estate, Intellectual Property, Litigation and Arbitration, Criminal Defense, International Trade and Maritime.